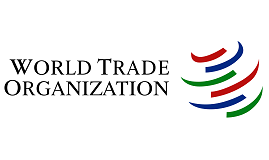 The World Trade Organization (WTO) is the only global international organisation dealing with the rules of trade between nations. At its heart are the WTO agreements, negotiated and signed by the bulk of the world’s trading nations and ratified in their parliaments. The goal is to help producers of goods and services, exporters, and importers conduct their business. As the organiser of a ministerial conference in Nairobi, Kenya, the WTO needed a portal to register its members and guests. Called “eRegistration Portal”, it would have to store identity and business data from individuals and organisations, and also manage invitations through accreditation workflows. 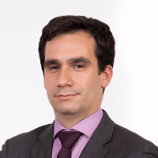 In addition, the WTO intended to re-use the portal in the future, thereby requiring that it be able to provide multi-tenancy for identity and business data. Great user experience through ergonomic and responsive design. Handle delegated registration to administrative staff. Isolate identity and business data roles for different organisations. Provision organisation's local identity stores. We built a solution based on the integration of a responsive web portal and a market leading Identity Management Solution: ForgeRock OpenIDM. The web portal was built on HTML 5 and a responsive framework, Angular. Its architecture was modular so as to enable the dynamic integration of business-specific modules for future organisations. Specific modules could, for example, be a subscription to an event with its appropriate validation workflow. The core Identity Management solution was based on ForgeRock OpenIDM. Its main objective was to centralise identity data from WTO members, guests and, in the future, from other organisations. To ensure data isolation, we configured the IDM solution to expose data through endpoints specific to each organisation. We also configured it to push user identities to the organisation’s local identity store. The integration between the portal and the IDM solution was based on the REST APIs that ForgeRock’s OpenIDM product provides as part of the package. Thanks to its modular design, the solution comes with the ability to on-board new organisations and business services without impacting the running environment. The solution also comes with a customisable engine to define new accreditation workflows. With all of its features exposed through REST APIs, ForgeRock OpenIDM simplifies integration with the Portal and business services. 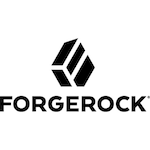 Moreover, ForgeRock OpenIDM embeds a layer of connectors which makes provisioning of heterogeneous identity stores straightforward. The use of state-of-the-art technologies: HTML5, Angular, Spring-boot, Tweeter bootstrap, Docker and Liquibase allow for fast development of a responsive and modular solution which is usable across all devices and browsers.